PLAYSONIC ist curated by Josa Gerhard und Sebastian Quack (members of the Invisible Playground network). A joint project by Alte Oper Frankfurt, Ensemble Modern and Hochschule für Musik und Darstellende Kunst Frankfurt am Main, initiated and funded by Deutsche Bank Foundation. »Spielend hören und hörend spielen« (Playful listening and listening while playing) is the motto of the PLAYSONIC Festival, which offers space for imponderables and surprises. 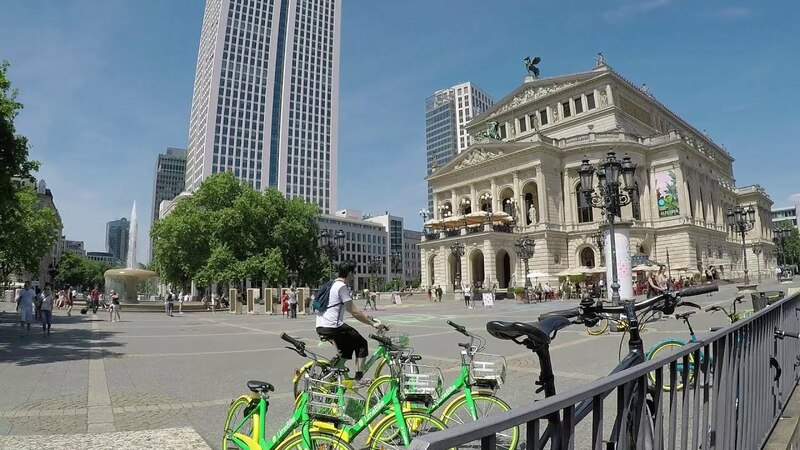 From May 25-27, 2018, visitors to the Alte Oper Frankfurt and its urban surroundings will experience a diverse programme of musical games and playful musical forms. The curators Josa Gerhard and Sebastian Quack of the artist network »Invisible Playground« are the initiators of this festival, presented by the Alte Oper Frankfurt, Ensemble Modern and the Frankfurt am Main Academy of Music and Performing Arts, and initiated and supported by the Deutsche Bank Foundation. In the curators’ words, »We would like to loosen the rules of how to interpret or listen to music. Of course, another theme is how to enable the audience to shape music through playful interaction.« The centrepiece of the festival are four works developed especially for PLAYSONIC by interdisciplinary focus teams consisting of composers, game designers and an artist representing one other genre in every team: they will work on an evening-length ensemble format, an intimate chamber music format, an installation and a work in the public space. The programme is flanked by a multitude of experiments, workshops and round-table conversations. In their course, the artists discover new sound-spaces and the audience discovers new ways of listening to music. PLAYSONIC focuses on the process of exchange and playful experimentation. In January 2018, Ensemble Modern and other musicians, composers, game designers and test players will meet at the Frankfurt University of Music and Performing Arts for a game jam: the event will last several days and feature games, discussions and development sessions.